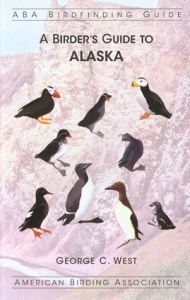 A Birder's Guide to Alaska gives you the detailed information you need to find the Great Land's great birds. Over 60 locations are covered in this updated edition, including the state's entire road system, the Alaska Highway from Dawson Creek, BC through the Yukon to Alaska, the Alaska Marine Highway ferry system, and the Alaska Marine Highway from British Columbia to Alaska. Special attention is given to providing birding information for the larger communities-Anchorage, Fairbanks, Juneau-in addition to Alaska's popular tourist destinations: Denali National Park, the Inside Passage, the Kenai Peninsula, and Nome. The status of more than 500 species of birds in Alaska-and dozens of field-identifiable subspecies-is treated in the Annotated List. This updated guide features more than 120 maps, which accompany the 56 chapters. George C. West, a long-time Alaska resident of Fairbanks and Homer, has done a superb job in bringing together birdfinding information to help visitors and residents alike. 662 pages.